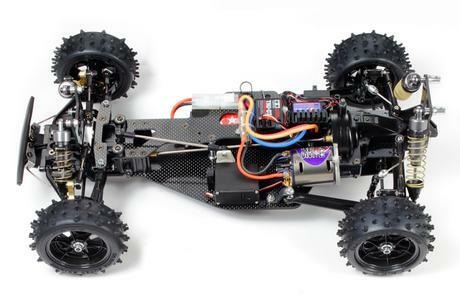 This shaft-driven 4WD chassis features a longitudinally-positioned motor and full ball bearings, while carbon fiber upper and lower decks ensure that the model has superb strength. Re-designed front and rear ball differentials offer excellent reliability and easy maintenance, working in tandem with the built-in center one-way to provide sure-footed movement. The one-way bearing can be locked. Universal drive shafts feature the same design as those used in the current TRF series parts, in order to maximize power transmission and improve resistance to wear and tear. 4-wheel double wishbone suspension is supported by 4 oil dampers equipped with aluminum cylinders, while the front and rear of the model are fitted with stabilizers. 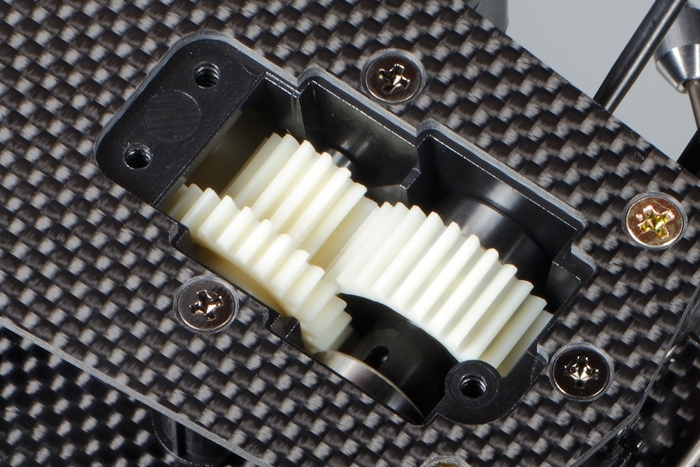 Aluminum front uprights offer excellent reliability, and ball bearings in steering linkage arms combine with 2mm thick carbon fiber plate to offer a linear steering response. The Egress has been truly revamped across the board, and it also features a brushless motor. 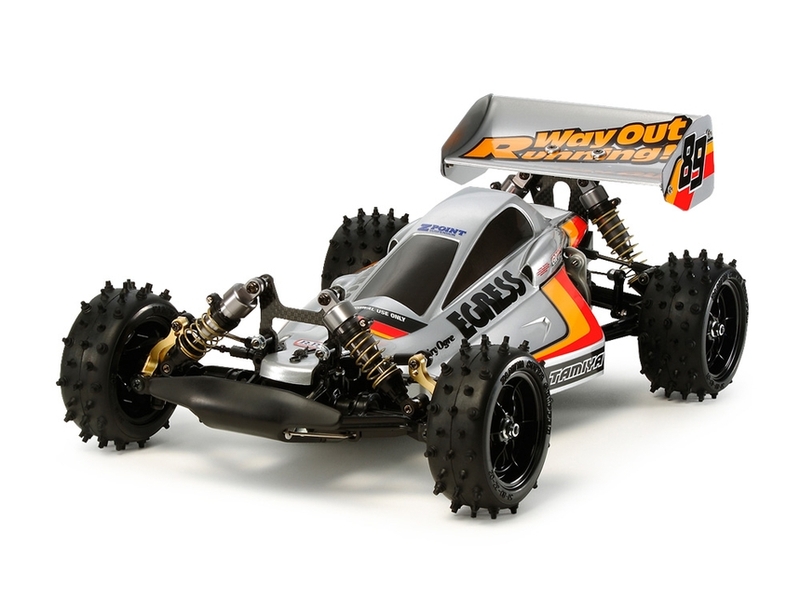 Requires 2-Channel radio, servo, ESC, motor, 7.2 volt battery & compatible battery charger, and Tamiya PS polycarbonate paint to complete the kit. Requires A 2-channel radio gear, electronic speed control, motor, 7.2 volt battery & charger, Tamiya PS spray paint. Special Feature 1 Length: 430mm, Width: 243mm, Height: 157mm. 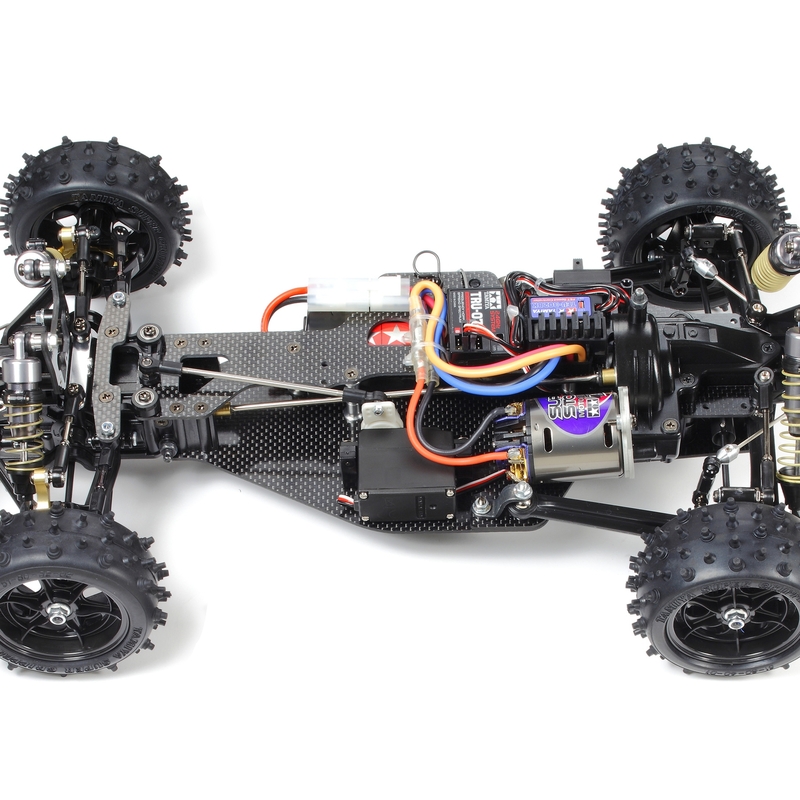 Special Feature 2 Features a number of carbon fiber-reinforced parts such as upper/lower decks & central torque-splitter diff. Special Feature 3 Lightweight wheels are fitted with hybrid spike tires. 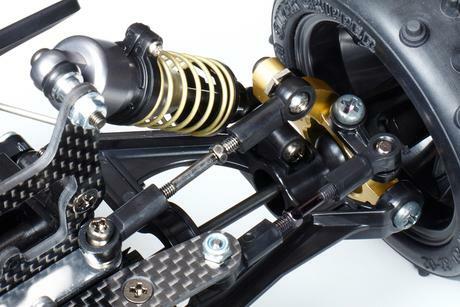 Special Feature 4 Newly-designed parts such as ball differentials and universal joints give smooth power transfer. 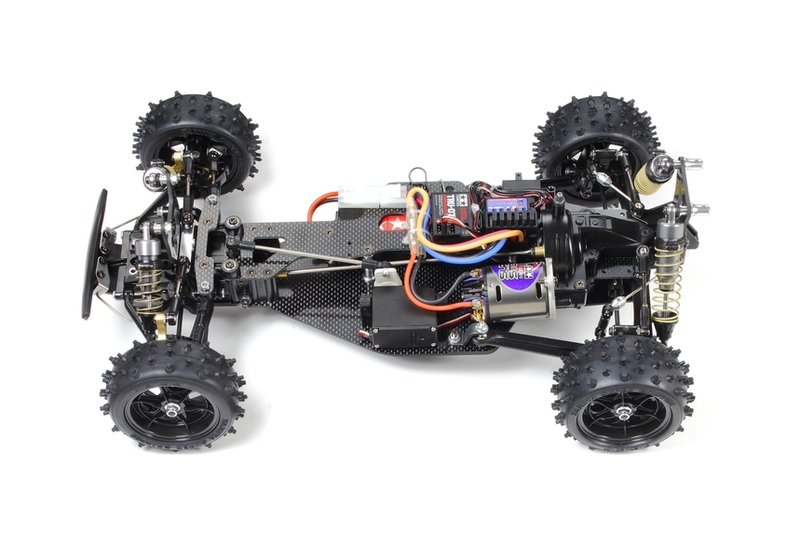 Special Feature 5 Long wheelbase carbon fiber-reinforced chassis is fitted with center one-way.